Oklahoma State is still looking for its point guard to run the show in 2018, for a second straight season, and is exploring the possibility of bringing in USC Upstate’s Mike Cunningham, according to ESPN. Western Kentucky, UAB, OU, Valpo, Tulane, Wyoming, VCU, Nevada and South Carolina are also showing interest. 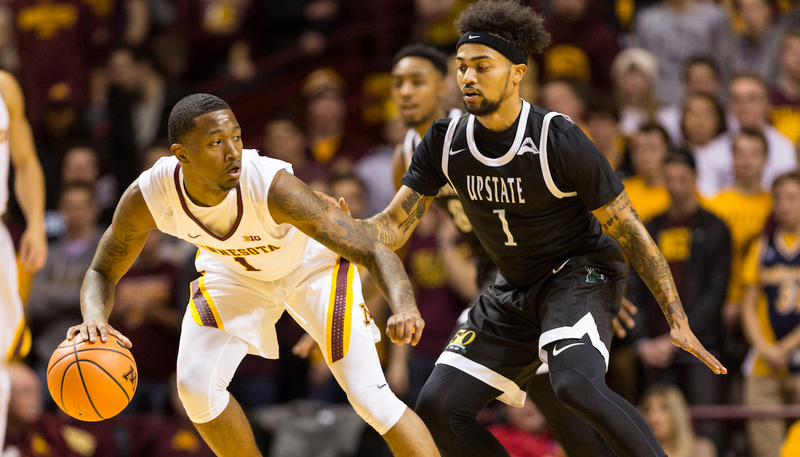 Cunningham was one of the few bright spots for USC Upstate this season. The Spartans had a no-good, terrible 7-win season, and their defense ranked 351 in adjusted efficiency according to KenPom .. out of 351. But Cunningham, a junior, averaged 13.7 points and 3 assists per game in 33.5 minutes of action and was solid for the Spartans this past season. The 6-foot, 185 pound guard is a capable scorer, willing distributor, and underrated prospect who signed with the Spartans several years ago to little acclaim. At this point I would expect Cunningham to be no more than a fall back plan for OSU, should four-star Courtney Ramey opt to sign elsewhere in the April signing period. But he could be an intriguing option who could bring talent and experience to Stillwater, much like Kendall Smith has been able to do this season.